The Skipper | Eat It, Damn It! Get the Chowdah. No, that is not misspelled. They spell it that way, and the soup is so damn good, I’m going to call it whatever they want. 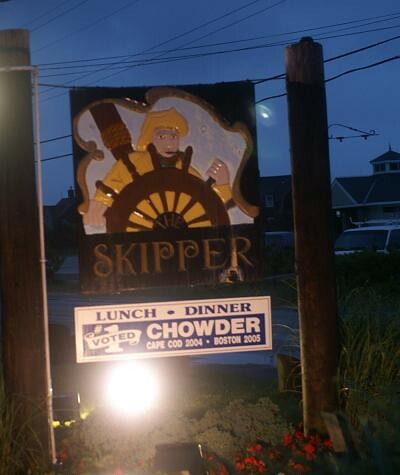 When, not if, when you go to The Skipper, get the Cape Cod Clam Chowdah. Get the bowl ($6.50), cause the cup isn’t going to be enough. I had the Chowdah for the first time a year ago, and it was just as splendid as I remember. It is simply a bowl of heaven. 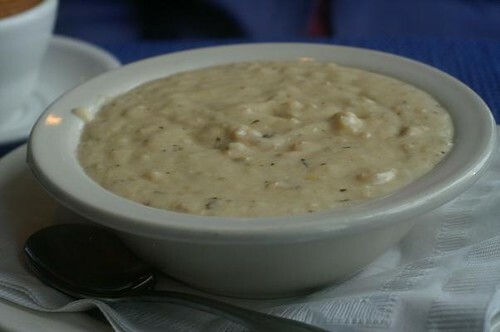 It is creamy, rich, and filled with juicy bits of clam, without too much potato, celery, or other fillers. Soup seems to be The Skipper’s calling. 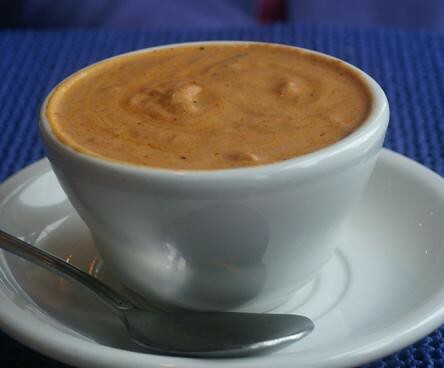 The soup of the day was a tomato basil (cup $4.25). It was chunky and creamy with a nice tart and strong basil flavor. The dishes were nice, but not nearly on the same level as the soups. I cannot remember the last time I had swordfish, but the Pasta & The Sea combo ($17.99) left me cold. 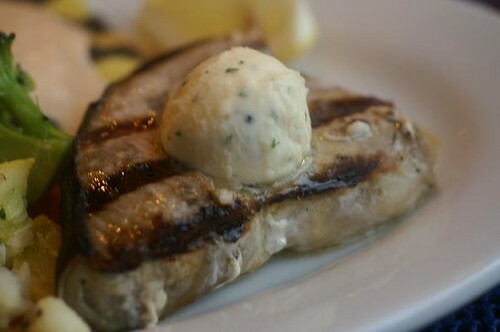 The swordfish is meaty and filling, but it has no real flavor. 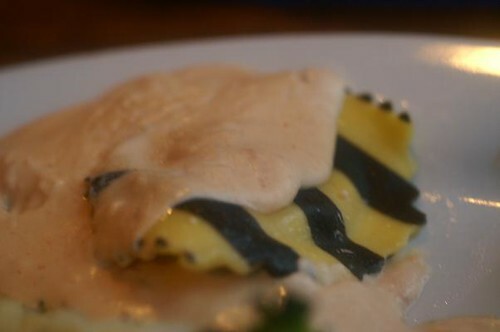 The lobster ravioli with cream sauce had plenty of lobster meat stuffed inside. I think the pasta was a mixture of flour and squid ink pasta. Nice, but not necessarily distinct. 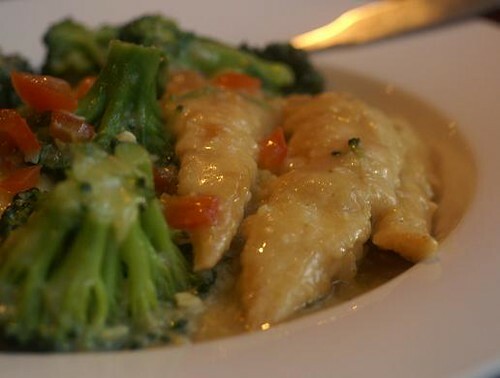 The Chicken & Broccoli ($16.99) fared slightly better. The chicken tenders were lightly breaded and held together well in the sauce. There was a choice of penne, angel hair, or rice. The rice worked very well with the lemon and garlic flavor of the sauce. I would recommend The Skipper for lunch more than for dinner. It irked me that no salads came with the entrees, but it was more on principal than want for more food. The staff is young, but knowledgeable and friendly. Oh yeah, GET THE CHOWDAH!!! !